If it has always been your mom or better half to handle your food ministry, then come along with them and get acquainted to an exclusive and excellent service of food in Domlur - the Ministry of Food! 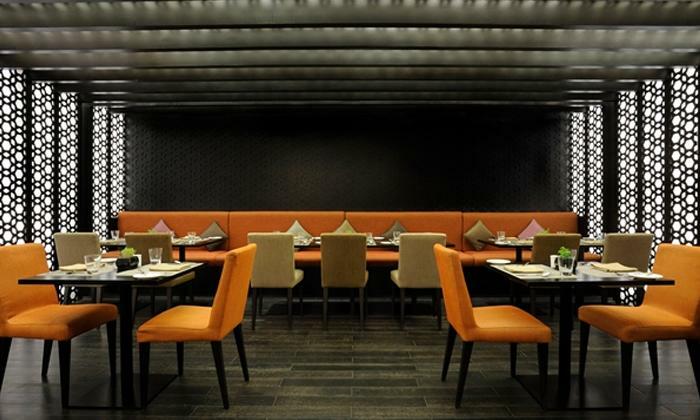 This elegant restaurant at the Hilton Bangalore Embassy Golf Links, has a top notch ambiance with sophisticated and comfortable décor. The restaurant offers North Indian, South Indian, Asian, Italian and European delicacies, cooked to perfection and served with affection. The buffet facility offered by the restaurant is loved by many foodies like you who like to enjoy the best of all. The meals served are authentic in their recipes and preparation and you'll find innovation and craftsmanship in their beverages and desserts. The service of course, is pleasant, hospitable and impeccable. Surprise your food minister by taking them along to the Ministry of Food.